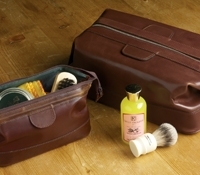 We are delighted to offer these essential leather goods for the well-groomed gent. 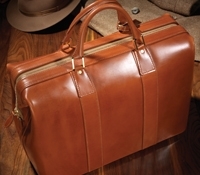 Made in England by the old world artisans of Daines & Hathaway, from the finest oiled grain leather. They are styled classically, with strong zippers, and flexible and expanding contours, and tanned a handsome and manly shade of chestnut. 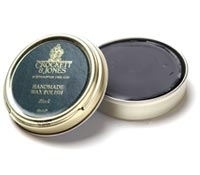 The small 9 x 3.25 x 4" antiqued shoe shine kit comes with two cans of polish, a soft cloth and two bristle brushes. 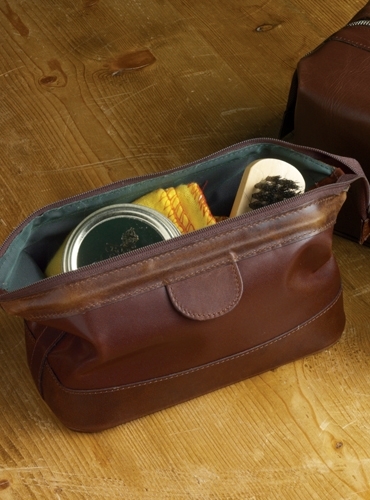 The larger, 12.5 x 5.5 x 6", dopp kit is lined with a handsome water resistant fabric and has a sturdy and unobtrusive leather clutch strap. A tidy way to hold these essentials at home, and an even more efficient way to travel with them! 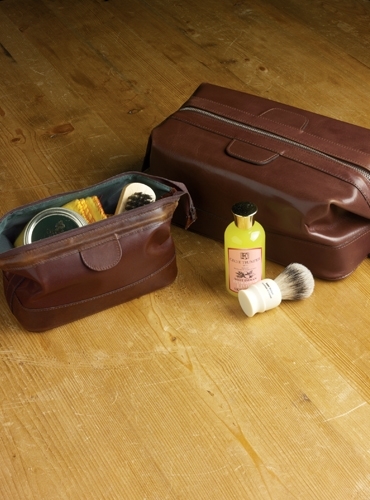 Shoe shine kit, DHSK. 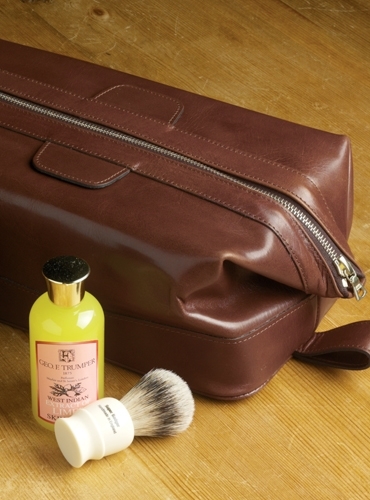 Dopp kit, DHWK.